The president of the South African Chamber of Commerce (SACCI) is a man with a variety of interests in life. He is a man with a passion for learning, a man with a strong business acumen, and one who is dedicated to help grow South Africa’s economy. 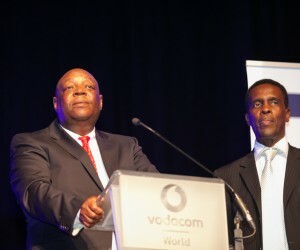 Prior to taking up his current position as Senior Manager Stakeholder Relations with Transnet, Vusi Khumalo’s extensive career ranged from being a high school teacher and later lecturer at Wits University, to occupying a number of leadership and managerial positions at among others PG Bison, Nampak and Whirlpool. Born in the mining and industrial town of Boksburg on the East Rand, as a youngster, Khumalo and his family were relocated to Vosloorus in 1964 with the implementation of the Group Area’s Act. They later moved to Vryheid in KwaZulu-Natal, where he matriculated at Inkamana High School. The current SACCI president obtained his BA degree in Social Sciences, as well as a University Education Diploma, at the University of Zululand. Following that, he obtained an Honours Degree in Comparative Linguistics at the University of Witwatersrand. Apart from studying management programmes at Wits Business School and the Gordon Institute of Business Science (GIBS), Khumalo also studied at the University of Antwerp in Belgium, where he completed his MSc degree in Maritime, Transport and Management. 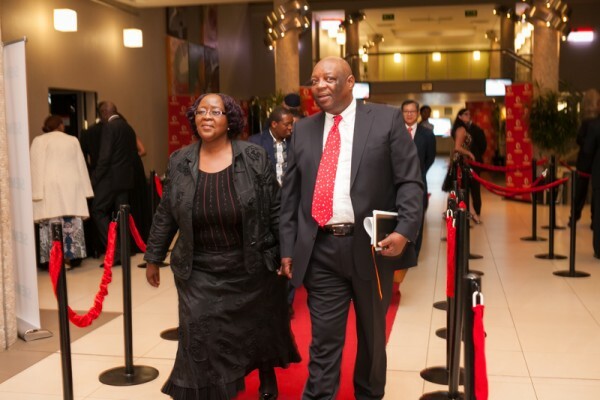 Upon joining Transnet Ports Terminals (TPT) in the office of the Chief Executive (CE) 10 years ago, Khumalo had the opportunity to, among others, represent TPT at the behest of the CE. During his stint in Durban he also served on the board of the Durban Chamber of Commerce and Industry for a number of years and was appointed to the board of the eThekwini Maritime Cluster, where he chaired one of the sub- committees on maritime skills development before he left for Belgium to further his studies. 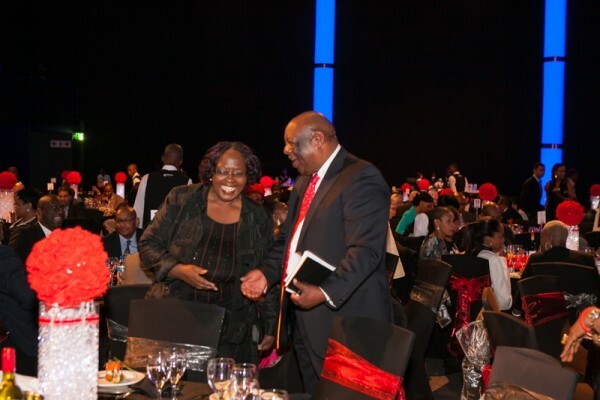 “After returning home, I continued my association with the Durban Chamber and the Maritime Cluster. I was then invited by the CE to serve on the board of the Richards Bay Industrial Development Zone (RBIDZ). Interaction with among others the RBIDZ and Coega in East London further exposed me to the concept of IDZs in South Africa. 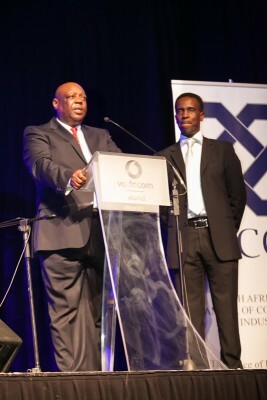 Some of the highlights of Khumalo’s career as SACCI president have been numerous opportunities to travel extensively on the African continent, to Europe, the United States of America (USA) and the East, where he presented business papers on global integration, as well as papers on regional economic integration and logistics, aimed at highlighting economic and commercial value for South Africa. “I had the opportunity to facilitate bilaterals and MOUs with commercial value for port systems on the African continent, in Europe and in the US. The partnership between the port system and the chamber movement has always been key in the supply management process and for logistics when it comes to creating and generating revenue for the economy. One can safely indicate that the partnerships established with the various chamber movements in east Africa, the Southern African Development Community (SADC), and the Common Market for Eastern and Southern Africa (COMESA) will go a long way in revitalising inter-country trade, both in Africa and globally. This will be realised by addressing trade barriers that will set the economic recovery that South Africa so much desires. 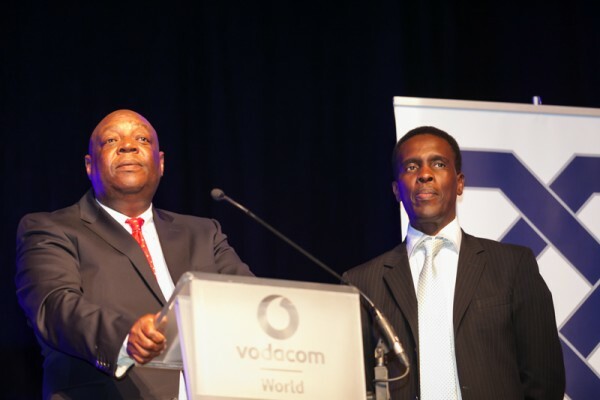 The chamber movement, with all its business affiliates, will soon realise,” Khumalo told Opportunity. According to Khumalo, his current role as Senior Manager: Stakeholder Relations at Transnet involves him liaising with Transnet’s strategic stakeholders within and outside the port system. “The chamber movement is one of our key strategic stakeholders, given the role that the TNPA plays in logistics and in the total supply chain process. I also play a pivotal role in the port system on the continent by co-ordinating and facilitating regional integration with all major ports in Africa and internationally. This is facilitated by my role in the Port Management Association of Southern and Eastern Africa, where I’m responsible for fostering collaborative initiatives in areas of common interest that yield commercial value for partnerships and economic growth in the regions." Questioned about their goals for SACCI, Khumalo talks passionately about stabilising the organisation by injecting new thinking of revenue generating activities into SACCI to sustain and grow the organisation. Talking about black economic empowerment (BEE) and the South African economy, Khumalo says it has made its mark, but BEE is however not enough to address the challenges of the country. In his opinion, in the scale of things, BEE has only benefitted a few individuals---and South Africa can only learn and improve on the current implementation of BEE, given the magnitude of the challenges the country is faced with. 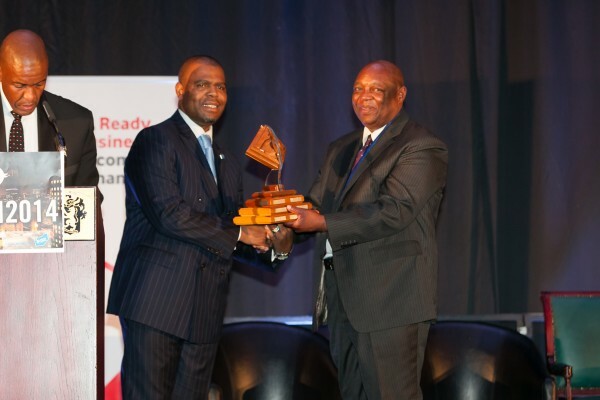 Sharing his views on the future and state of trade and industry in South Africa, the SACCI president says with the economic downturn the industry is faced with, there is an abundant opportunity for bold priorities and inclusive growth. “The elimination of trade barriers, and collaboration and partnerships with neighbouring economies will be key. The chamber movement has a critical role to play in contributing to the review of the policies and regulations that can lessen the barriers to trade. The collaborative initiatives, through the MOUs SACCI has already embarked on, will allow the respective chambers to influence trade policies in their respective countries. This will allow the flow of trade to happen in and out of the respective borders. “Despite the fact that South Africa, with its good business environment and growing consumer class, is the second largest economy in Africa, compared to its peers, we have challenges of poor growth, poor job creation, slowing down investment and enduring poverty. Under these circumstances, bold priorities for inclusive growth will be key. To realise this opportunity, South African manufactures will have to pursue new markets in Africa and step up when it comes to innovation and productivity. South Africa, with its world class infrastructure, will need to close the gaps in electricity, water and sanitation supply. This will include partnerships with the public and private sectors to help drive strategies that will make infrastructure spending more productive and to help increase maintenance. “In overcoming the electricity shortage, we will need to provide an alternative to diversify the power supply by utilising natural gas. This will be critical when it comes to exporting services to the rest of the markets in Sub-Saharan Africa. This can be boosted if it is assisted by Government in our quest to promote regional trade deals. South Africa can exponentially grow its raw and processed agricultural goods for rural growth, which will benefit small holder farming and South Africans who depend on subsistence. “The current state of business in South Africa is in dire straits. What is heartening though is the realisation that all south Africans are in it together. It brings the whole notion of inclusivity, partnership and a collaborative effort to move out of this quagmire collectively!” Khumalo concludes. What was the best business advice you have ever received? Think globally and act locally! Exercise the art of listening, and learn from your mistakes! What inspires you the most about your job? The practical diagnostic approach to business situations and the well thought-out fact-based solutions that yield the desired results! I enjoy and appreciate art and I like listening to the soothing sounds of Jazz music! When you retire one day - what would you like your legacy to be? I would like to sit back and reflect on the contribution I have made to the businness fraternity, mankind and my country’s economic development!